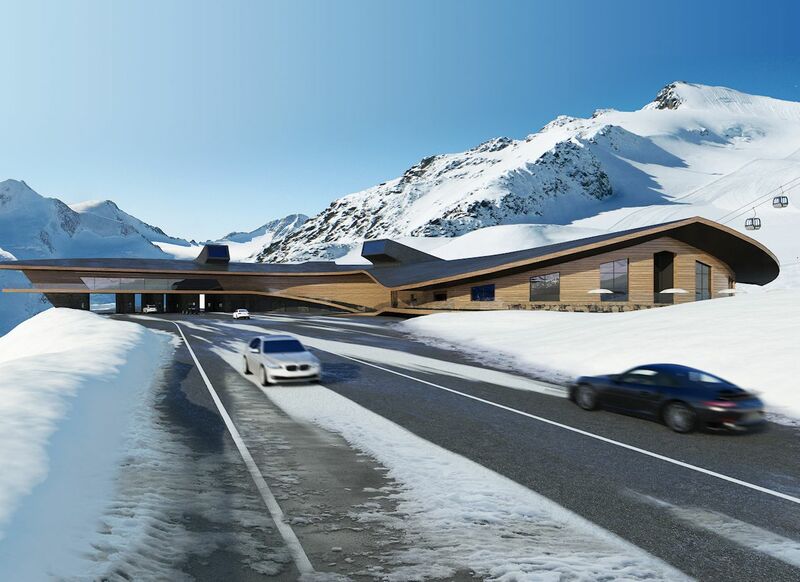 An impressive new toll station opens at Austria’s Timmelsjoch mountain pass this summer with exciting additions due this winter and next spring. Also, a famous footballer loses his licence for speeding in the Mont Blanc Tunnel; Slovenia aims to plug the gap in the Maribor-Zagreb motorway; and, Denmark looks to tone down its harsh stoner driver laws. The rest of the development is still some way ahead but the futuristic new toll station at the bottom of Austria’s Timmelsjoch alpine pass will be ready for when the road opens for the summer on 31 May. 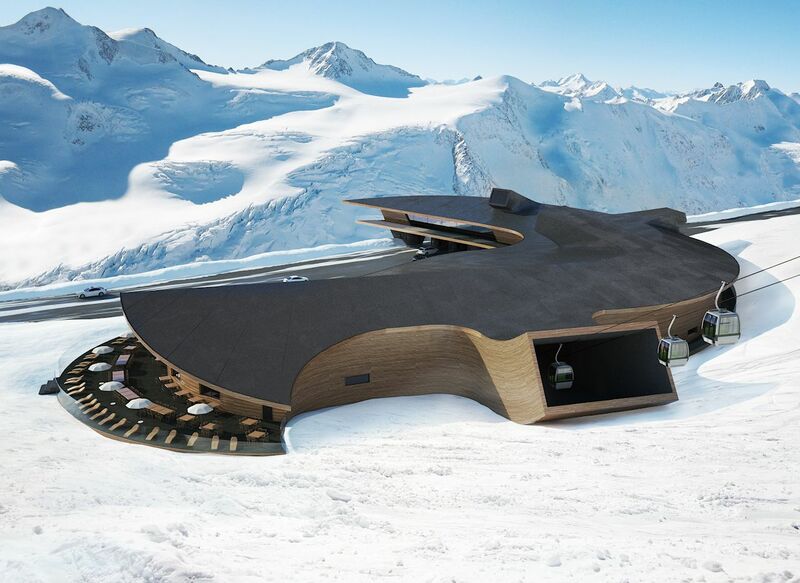 As well as a peage, the 6,000m² new building will feature a gourmet restaurant with panoramic terrace and the base station for the new Kirchenar cable car, both of which open this winter. A third of the floor space will be given over to a new motorbike museum which will be Europe’s highest when it opens next spring. The ground breaking ceremony last October was performed by fifteen times world champion bike racer Giacomo Agostini. Called Top Mountain X-Point, the €23m building at 2175m was designed by Innsbruck architect Michael Brötz in a style described as ‘curved-organic’ to fit the landscape. Timmelsjoch runs across the border between western Austria and Merano in north east Italy, topping out at 2474m. On the Italian side it is ‘Passo del Rombo’. Tolls start at €12 for bikes and €14 for cars. See more at Timmelsjoch.com or PassFinder, or catch up with the Austrian Alpine pass summer opening schedule here. roundup: SPEEDING. Former Man City and Man United football player Carlos Tevez has reportedly lost his licence after breaking the 70kmh speed limit in the Mont Blanc Tunnel says thelocal.it. The 31 year old striker, now with Juventus, was heading back into France on Wednesday, the day after scoring at a Champion’s League match against Real Madrid in Turin. SLOVENIA. A loan of €140m from the European Investment Bank (EIB) will go towards filling the final missing link in the motorway network says The Slovenia Times. Just a 20km gap remains on the A4 Maribor-Zagreb A4-A1 between Draženci and Gruškovje near the Croatian border. DENMARK. The zero-tolerance of stoner drivers is under fire from MPs reporst Copenhagen Post. Even a trace of cannabis in the system is enough to see a driver banned and thousands have been despite the drug being detectable for between three and eight weeks after the driver last smoked, i.e. long after the effects have worn off. The Legal Affairs Committee has asked the government to find a ‘more sustainable’ solution.